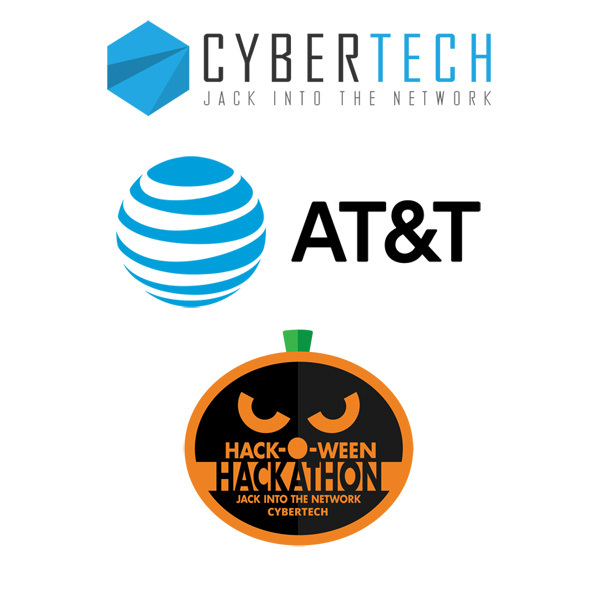 Join us for Hack-o-ween, a VR/AR Hackathon produced by the AT&T Developer Program and CyberTECH. Hackathons are coding competitions, where individuals and teams build apps and games from scratch over a specified time period. The apps are then pitched to judges and prizes award for the best apps. Hackathons are a great opportunity to learn new technologies, network with fellow developers, enjoy some food, most importantly have some fun! The Hackathon will be held in downtown San Diego at CyberTECH’s cybersecurity incubator and shared workspace, CyberHive, starting the evening of Friday, Oct 27 and ending the evening of Sunday Oct 29. See the full schedule below. Code in costume if you want! Bring your favorite cosplay, neopixel wearable, or that SpongeBob outfit. Street clothes are fine also! 8PM – Pitch ideas, form teams, and start coding! 12AM – Venue closes for the night; you may continue working on your project offsite. 9AM – The fun continues with breakfast served in the morning! Work with the teams from Day 1 to complete the app. CyberTECH will be open OVERNIGHT on Saturday! Thank you to CyberTech for keeping the hackathon non-stop! Darin Andersen is a distinguished Internet of Things (IoT) and cybersecurity professional with over 15 years of experience in the security industry. In 2013, Mr. Andersen founded CyberTECH (CyberHive and iHive Incubators), a global cybersecurity and IoT network ecosystem providing cybersecurity and IoT resources, strategic programs and quality thought leader IoT Forums across the nation. Darin is also founder of CyberUnited, a cybersecurity, big data and predictive analytics firm that applies a behavioral psychology framework via machine learning, data, analytics and inferential algorithms to determine and prevent identity and insider threats within the enterprise, academic and government organizations.